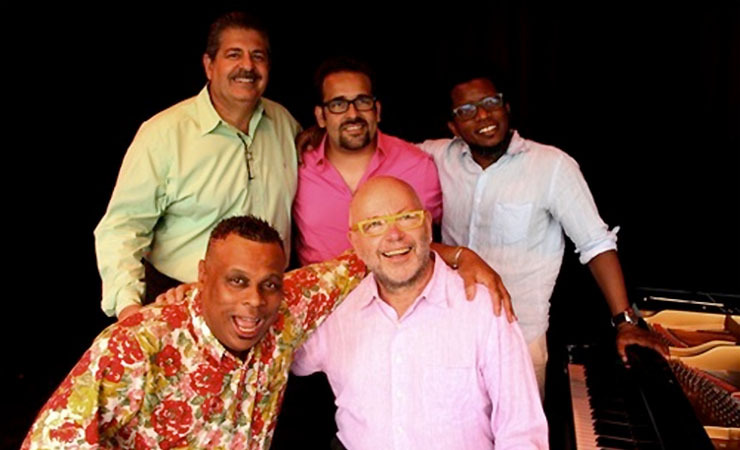 While searching for an event to put the finishing touch on the July 4th weekend I came across an ad for the Oskar Schindler Performing Arts Center (OSPAC) title, The Soul of Cuban piano featuring Chuchito Valdés, Manuel Valera and Aruán Ortíz. The event is part of OSPAC’s Roots + Ribs Music and Food Festival which runs through September 1st. The series is an outdoor, bring your own lawn chair and/or blanket affair and the setting couldn’t be lovelier, an open-air stage, a pristine grassy knoll a stone’s throw from Crystal Lake. The environment lends its self to enjoying music while communing with nature. As fate would have it I arrived as the Maestros were warming up and familiarizing themselves with a beautiful and ridiculously expensive Fazioli grand piano. It was a harbinger of things to come. Right on time WBGO radio show host and Master of Ceremonies, Gary Walker introduced Aruán Ortíz, a critically acclaimed pianist, composer, producer and educator who has been making a name for himself on the local and international scenes since he arrived from Cuba in 2008. Aruán’s set was an open invitation to accompany him on a musical journey that spans his Cuban roots, contemporary classical music, improvisation and what he calls, “an architecture of sounds.” The journey included Thelonious Monk’s arrangement of Duke Ellington’s “Black and Tan Fantasy”; an excerpt from an upcoming suite based on folkloric musical expressions of Santiago de Cuba titled, “Callejuela Izuama” and his arrangement of the tune, “Alone Together”. In all, the set was cerebral, quietly intense and above all, riveting. Onstage, Chuchito Valdés lets his fingers do the talking. Suffice it to say they speak volumes. Stylistically, he is flamboyant and occasionally over the top but he is as comfortable with a raucous version of “Mambo Influenciado” as he is with a lyrical Danzón. His original compositions and arrangements draw on a wide variety of classic and harmonic structural techniques and his music reflects many styles, including Afro Cuban jazz, Latin jazz, Bebop, Danzón, Cha Cha and Son Montuno. Some years ago I spoke with Chuchito between sets at the Jazz Gallery. Given the fact that he rarely speaks to the audience I was curious to know what goes through his mind during a performance. “It’s emotional,” said Chuchito, “I think of my wife, my family, my children.” The set ended with a well deserved standing ovation and an encore. In all, the event was a crowd pleaser and a rare opportunity to see three Maestros – all leaders and uniquely different in their own right – share the same stage. Upcoming performances include: The Lionel Loueke Trio, Frank Kimbrough, John Beasley, a tribute to the late, great Mulgrew Miller, Geri Allen and The Cookers among others. I’m happy to declare that OSPAC is no longer New Jersey’s best-kept secret. 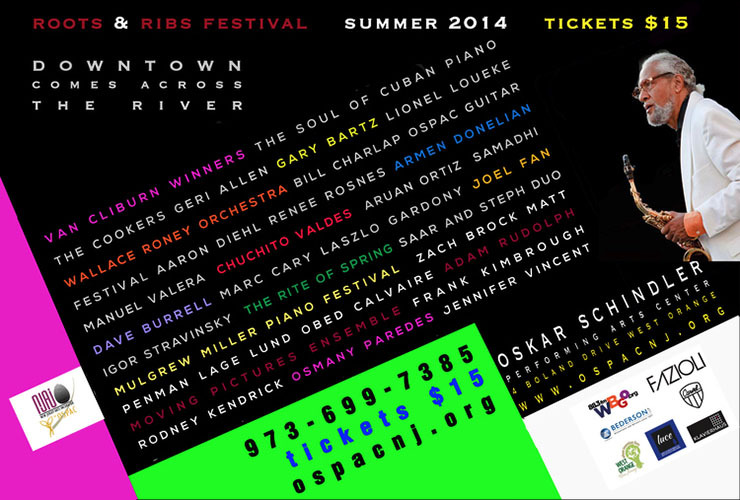 I urge readers in the New York, New Jersey area to support OSPAC and the Roots + Ribs Music and Food Festival.